Provides a digest of the current developments, open questions and unsolved problems likely to determine a new frontier for future advanced study and research in the rapidly growing areas of wavelets, wavelet transforms, signal analysis, and signal and image processing. 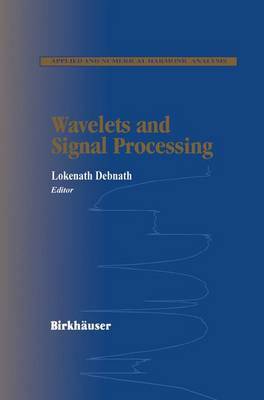 Ideal reference work for advanced students and practitioners in wavelets, and wavelet transforms, signal processing and time-frequency signal analysis. Professionals working in electrical and computer engineering, applied mathematics, computer science, biomedical engineering, physics, optics, and fluid mechanics will also find the book a valuable resource.